Your local team at Plumber Donnybrook are available 24/7-365 days a year. This means we are always there to help you with your plumbing emergencies. When you call us we can have a member of our team out to you in less than 60 minutes. A senior Donnybrook plumber will always take your call and try an assist on the phone in first instance. This can prevent a call out. Our team also provide a full range of general plumbing services. We are happy to call out and tender a quote on any works required. This will always be arranged at a time that suits you. Our Donnybrook plumbers pride ourselves on being one of the highest quality emergency plumbing & heating companies in Dublin. All of our team are highly skilled and qualified in all areas of the trade. This includes being Gas Safe registered and being up to date with all health and safety legislation. Whether it’s a unblocking a drain, or installing a new boiler we have the expertise to complete the job quickly and efficiently. For our team no job is too big or too small to handle. We now have been established for over 3 decades. The benefits of experience is vital within an ever changing industry. Some of our staff have over 35 years experience in the private and commercial plumbing services industry. The knowledge we have means we can always help you. We are fully covered by our public and professional indemnity insurance. For extra reassurance all of our work is fully guaranteed by our company under our “plumber Donnybrook” guarantee. Our team are very reliable and totally focused on on high quality workmanship and friendly service to all of our customers. 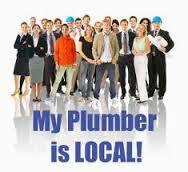 The Plumber Donnybrook team provide the following services in D4 and the surrounding area. • All makes and models of boilers repaired and installed. • Boiler servicing. Our R.G.I. engineers can service your boiler at a time that suits you. • Complete central heating installation and repair. • Gas cooker, fire and hob installations. • Gas pipe repairs and replacements. • Bathroom renovation projects and kitchen refurbishments. • Drain unblocking. We use jet flushing, drain rods, plumber snakes and C.C.T.V. for inspection. • Plumbing in washing machines and dishwashers and similar appliances. • Sinks and toilets unblocked. • 24 hour emergency plumber Donnybrook call out service. • Toilets, sinks, baths, taps, showers and bidets installed and repaired. Our team offer a free call out service. We are delighted to provide free no obligation quotes. We do not have hidden fees or charges such as traveling time or parking fees. Where possible we make sure that our vans are always stocked this means a lot of the time we don’t need to “source parts”. If you live in the Donnybrook area and need a plumber call your local experts at Plumber Donnybrook today on 01-2844921.